Around the mid sixteenth century, two anti-Hindu brutalities were committed by foreigners. The first was the demolition of the Sri Rama Janmabhoomi temple in Ayodhya by an agent of the invading plundering Babar and the second was the destruction of the hoary Shiva temple by the invading Portuguese barbarians. The Hindu society was not prepared for these uncivilised hordes, and hence remained mute witness to the destruction and sacrilege. 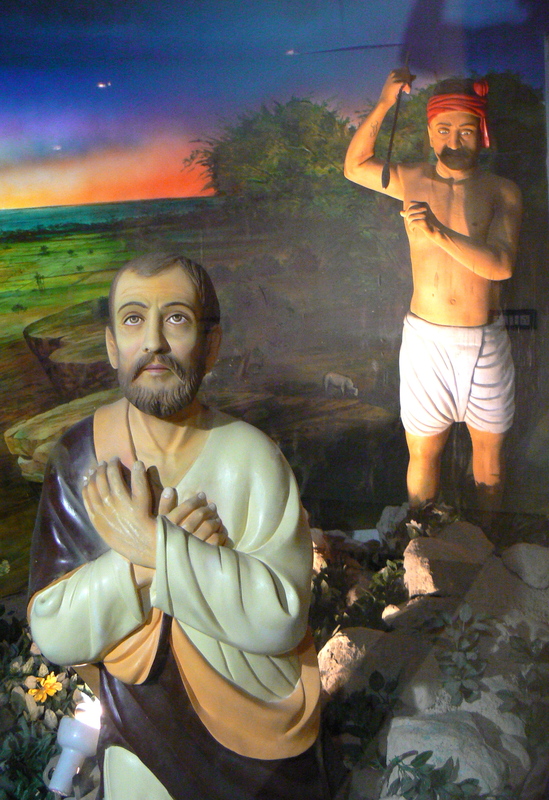 I therefore on behalf of Hindus and those others who proudly acknowledge that their ancestors are Hindus, warn this duo to desist from trying to patronize the falsification of history about the presence in Tamil Nadu of Saint Thomas, to legitimize the Portuguese destruction of the Shiva Temple to build the Santhome Church. The Church will have to go, and the Kapaleeshwara Temple re-built on that site. Hindus will do it with the help of sane and civilized Christians if possible, without them if necessary, and despite them if forced. When 83 percent Hindus unite, let those who are seeking to debase Hindu icons by bogus history realize that a religious tsunami will wash them away. This entry was posted in christianity, hinduism, indian history, kapaleeswara temple, madras-mylapore archdiocese, santhome cathedral, st. thomas movie and tagged apostle thomas, archbishop chinnappa, chennai, hindu temples, indian history, kapaleeswara temple, m. karunanidhi, madras, mylapore, portuguese, saint thomas, san thome cathedral, subramanian swamy. Bookmark the permalink.